…Lugansky’s Russian soul seemed to soar. Saturday’s concert featured three composers, Claude Debussy, Alexander Scriabin, and Sergei Rachmaninov. Lugansky began three selections by Debussy. He started off with “Suite bergamasque” with openings that are joyous and reminiscent of springtime, a great contrast after a week of deep freeze in our area. The most recognizable of the group of melodies was “Claire de Lune” which is very recognizable. Even though I have heard that piece hundreds of times, Lugansky’s interpretation was unique and transformative. This was followed by Debussy’s “Images Bok 2, L. 111” that was a little melancholy and more somber than the first selection. In the “Golden fishes,” you can almost hear the air bubbles in the water. Debussy most likely wrote the last of this grouping, “L’isle joyeuse” after viewing Antoine Watteau’s painting in the Louvre, l’Embarquement pur Cytherere (the Departure for Cythera). Like the painting, Debussy tried to combine both joy and melancholia into this piece. Again, Lugansky was able to convey this complex music with a nuanced interpretation and his great talent. The second half started with Scriabin’s “Sonata no. 3 in F-sharp minor, Oop. 23.” The composer was influenced by Chopin and Liszt. Even though I am not an expert in classical music, I could definitely hear Liszt’s influence in this rendition. “Drammatico” starts off being, well, very dramatic, but gives us “breathers” of lighter music followed by a powerful ending, “Presto con fuoco”, “Rapid with fire.” This suited Lugansky very well as he is exceptional in his transitions from the dramatic to the lighter parts of the music and then back again. However, when he began to play Rachmaninov’s “Selections from Preludes, op. 32, #5, 6, 9, 10, 11, 12 and 13” that Lugansky’s Russian soul seemed to soar. I could see by his body language and facial expressions that he was totally one with the music. The minor keys of “Allegro Appassionata (F minor)” and “Lento (B minor)” seemed to really touch the composer’s and performer’s roots. Each piece was a tapestry of feelings and emotions that Lugansky was perfect at depicting through his art. Lugansky had to give two Encores. Both were pieces by Rachmaninov. 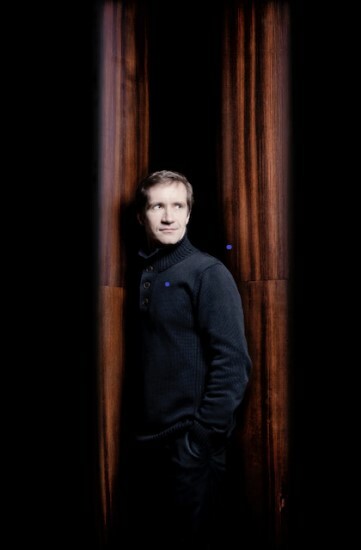 Nikolai Lugansky will be on tour. If you get a chance to hear him, you will want to get tickets early. Candlelight Concert Society will be presenting the Doric String Quartet on Saturday, February 23 at 7 PM at HCC, at the Smith Theatre. On March 30 they will be holding their 2018-2019 Gala Live! Backstage! At Merriweather Post Pavilion at Symphony Woods in Columbia, MD. Admission includes a preview concert by the Italian Saxophone Quartet, Dinner with a wine bar, live dance music and tango lessons and a special backstage tour of the pavilion. For more information on their Season and the Gala contact Candlelight Concert Society. Note: Tina Sinclair Smith accompanied this reviewer and was able to communicate professional insights to the performance.